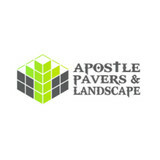 With 5 years of experience, Apostle Pavers & Landscape provides the highest quality workmanship at the best possible price. We will take your dreams and make them into a reality. Whether you need just a few minor adjustments or a complete landscape redesign, we will walk you through every step of the process. People tell us all the time that they know their landscape needs upgrades but they just don’t know where to start. That’s where we come in! If its ideas you want, we have them. 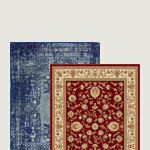 If its a design you need, we can make it. If its an installer you need, we can do it. Our goal is to make your yard look as beautiful as it possibly can. 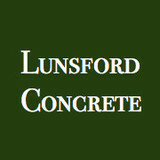 Lunsford Concrete is a leading concrete specialist in the Auburn, California area. Specializing in decorative concrete including precast, kitchens, fireplace surrounds and out door living space. Reach out today for your new project! Quality Concrete and Masonry services in Citrus-Heights and surrounding areas. CLS specializes in high quality commercial and residential applications for any need. We are dedicated to provide you with services by friendly trained professionals, who understand the importance of both safety and excellent customer services regarding your site for construction, to bringing your ideas to life, the experienced team of CLS will work with you to make your dream a reality. We are a growing and diversified concrete/landscaping service, distinguished by excellent quality of service along with a dedicated commitment to customer satisfaction. We specialize in high quality commercial and residential applications for any need, and are dedicated to provide you with services by friendly trained professionals, who understand the importance of both safety and excellent customer services. Our staff has over 70 years experience collectively in both concrete installation and landscaping installation. 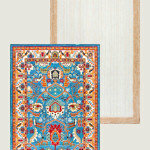 We guarantee our work for 100% customer satisfaction. We look forward to the opportunity to provide you with quality concrete and landscaping services. Experience our excellent customer service and take advantage of our reasonable priced services to enhance the appearance of your home or commercial building. California Outdoor has designed and installed commercial and residential concrete and masonry projects in Northern California since 2006. 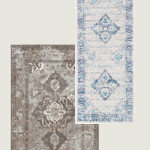 We’re a family owned and operated company with over 20 years of experience. 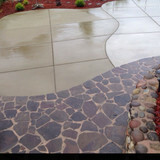 For all your concrete needs such as patios and curbing to ADA ramps, we do it all. We are a family owned and operated construction management firm that specializes in custom concrete construction. With over 30 years of experience in residential and commercial construction, we provide end-to-end solutions, helping design, plan, build, retrofit and remodel houses, offices, commercial and municipal infrastructure. We provide the project management experience, technical knowledge and implementation skills to turn your vision into a reality. 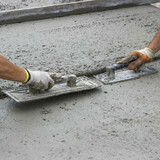 We specialize in custom concrete work and residential construction. Over the years we have built a team of creative carpenters who have experience building complex home foundations, flatwork, landscape accents and pool decks. We have a proven track record in the Sacramento area on large and small projects. Our work is refined and executed in an efficient and strategic manner. Our collaborative approach to project management and implementation ensures that our customers projects meet their needs and vision. Black Star Pavement Maintenance Inc.
Black Star Pavement Maintenance, Inc. is a full service pavement maintenance company that strives for excellence. We respond to all phone calls in a timely manner, we do our jobs at a fair price, we LISTEN to what our customer tells us about their projects, and we schedule and perform their work to deliver on the commitments we make to them. It is important to us to be able to take pride in the services we provide to our customers and the quality of the products they receive. Black Star Pavement Maintenance, Inc. was founded in November 2010. The company’s crews are dispatched out of the corporate paving yard in Sacramento to locations throughout Northern California and the Central Valley. Joe Wallace, Black Star’s president, has over 27 years of experience in the pavement maintenance business, and is known as a paver who puts his customers first. Joe has brought into the company a talented and dedicated group of people who share his values. We at Black Star take our responsibilities seriously, and will always strive to do the very best for our clients, our co-workers, and the communities where we live and work. If you're been searching for an established Sacramento, CA, concrete contractor, then it's time you called up Advanced Hardscapes Concrete. If concrete makes up a significant portion of your home or office building, then you ought to know that it can sometimes sustain a significant degree of wear and tear. Elements such as ice, rain, wind, and others can greatly contribute to this damage, which can then put the structural integrity of your property at tremendous risk. If you find this issue particularly concerning with regards to your own building, then it's time for you to secure the professional assistance you need. That means hiring us for your restoration work. Once you choose our expert services, your home or office will be all the better for it, and you can have the peace of mind you've been missing. Call our Sacramento, CA, office right away! We're locally owned and operated, and we're pleased to provide the residents of Sacramento with quality work that they can count on for years to come. Our staff is quick in when responding to inquiries, as well as highly professional in all that they do. We pride ourselves on accurate estimates, and we provide a wide array of concrete-related services, including all the following: General services Countertops Driveways Foundation laying Raising Restoration Decorative concrete laying Retaining walls For a Sacramento, CA, concrete contractor you can put your full trust in, go with the capable service provided by Advanced Hardscapes Concrete. 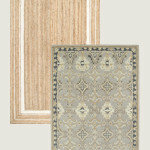 We provide dependable work of a wide variety, so contact our Sacramento, CA, office as soon as you can. Later on, you'll be glad you made the call! Sacramento Foundation Repair services foundation settlement, raised foundation, cracked slab, sinking slab, earthquake retrofitting, hydraulic push pier issues and real estate inspections. We manufacture a wide range of cast stone products including fireplace mantels, columns, piers, pavers and more. JRCC INC. (JR CONCRETE) was founded in 2004 by Miguel Moreno Jr., Jr Concrete’s corporate office is located in West Sacramento, California. The areas that we service are primarily in Northern California. Jr. Concrete actively maintains both B and C-8 contractor’s license. We employ only the best concrete specialists, who are experienced and exemplify safety, customer service, and superiority in the concrete construction industry.